November 25, 2015 By This post may contain affiliate links. 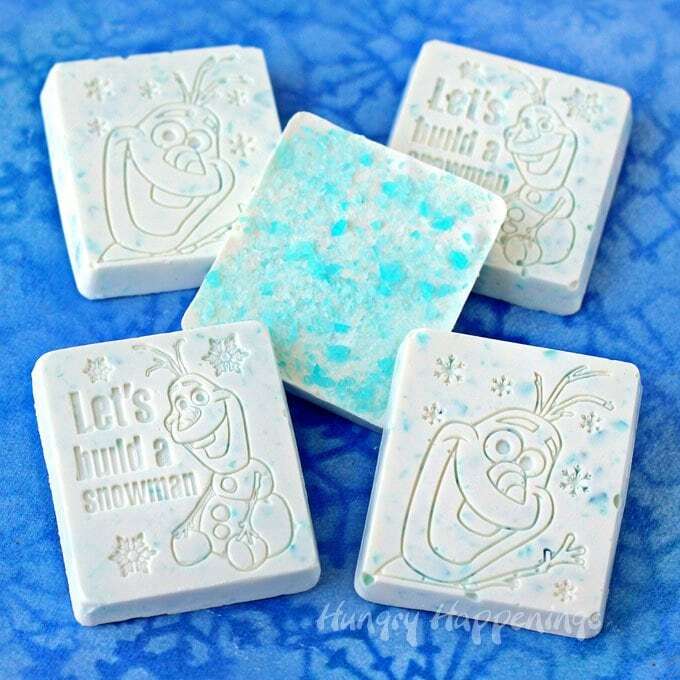 Blue ice mints add sparkle to these white chocolate Olaf Candy Bars. 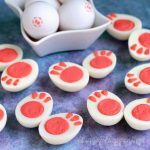 They are super easy to make using a Wilton silicone mold. Post sponsored by Wilton. Who say’s peppermint bark has to be red and white? This blue and white version of the popular Christmas candy made with ice blue mints is actually prettier than the traditional version, in my opinion. In all the years I’ve made peppermint bark, I’d never thought to use blue mints until I found Wilton’s new Disney Frozen Silicone Mold. 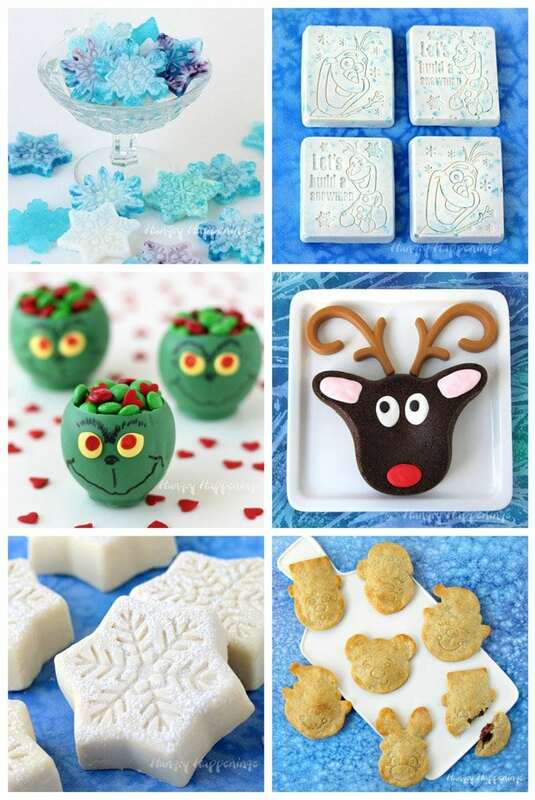 I just knew Olaf would look totally sweet made out of blue and white peppermint bark. The new mold is fantastic. The detail in the design is wonderful. Look at all those little snowflakes and the lines in Olaf’s nose. I love that all the detail shows up and that you can see tiny specks of the blue candy. 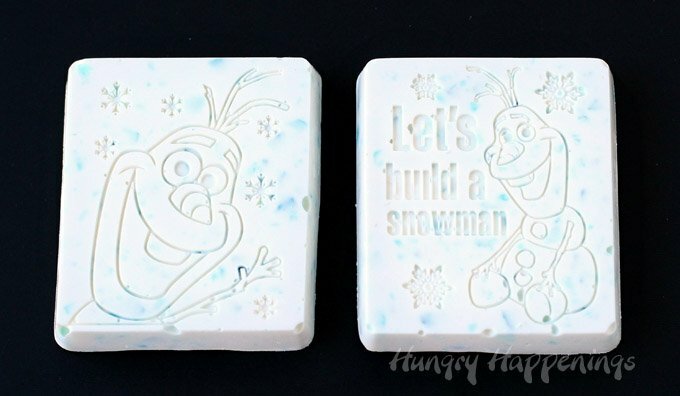 These Olaf candy bars are super easy to make. 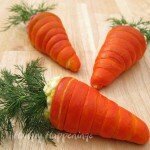 You’ll have them ready to package in about a half an hour. Sweet, right? Unwrap your mints and place in a heavy duty zip top bag. Smash into small pieces using a meat mallet or hammer. If using Candy Melts, pour them into a microwave safe bowl. Heat on high power for 30 seconds. Remove and stir. Heat for 30 more seconds, then stir. If needed, heat for 10 second increments, stirring after each, until melted. If using pure white chocolate, melt it and temper it according to the instructions on my Chocolate Making Tips page. Stir the crushed ice blue mints into the chocolate. Pour into the mold filling each cavity to the top. Pop the mold in the freezer if using candy melts and the refrigerator if using pure white chocolate for 15-20 minutes until set. 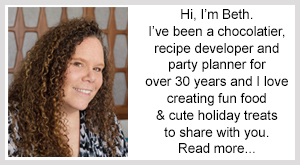 Remove and un-mold candy bars. You’ll have enough candy remaining to create 2 more bars, so repeat. 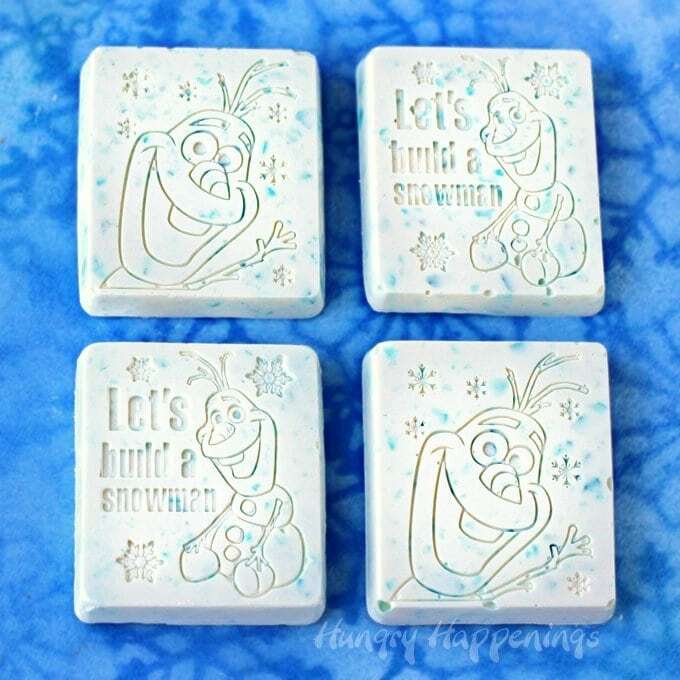 As I was playing around with the Hard Candy Snowflakes I shared with you yesterday, I threw some of the crushed blue and white candies into the Olaf mold. I love how it looks. 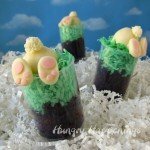 You can use the instructions from yesterday’s post to create this cool looking candy bar. 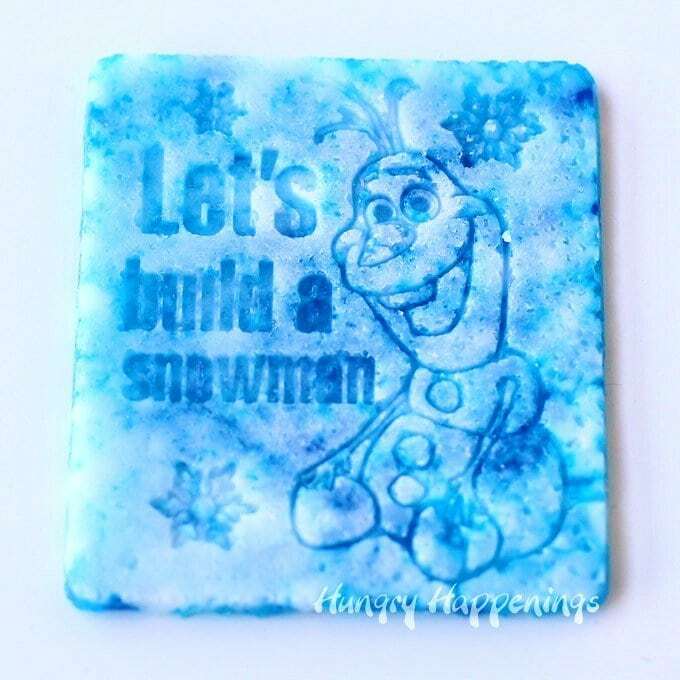 These are just two of the ways you can use the new Olaf mold. I don’t do facebook wanted to thank you for this wonderful giveaway opportunity. 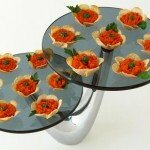 I love Wilton products and these candy molds are so cute and your candy looks wonderful. Love the blue and white which makes it more wintery like. Super cute! 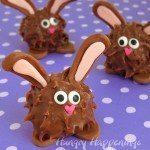 I just saw your truffle snowmen on FB and I’m in love. I’d do chocolate mint truffles though. No coffee for me. 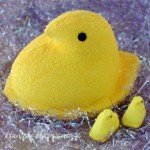 I commented on the Turkey Cheeseball — so cute!! My little granddaughter Dahlia is so into the Frozen stuff still, and she’s wanting that theme for her birthday in January. I may have to check into these forms for that!